The approach we have taken is behavioural modelling based on collaborative filtering and the basic idea of it can be simplified by looking at how paths in urban parks are formed (orig. Helbing, Molnar & Keltsch). Park planners usually create paths that follow straight lines. Still, without any concerted intention to undermine the original design of the park, pedestrians soon reestablish their preferred routes. The interesting question here is how these new footpaths are formed in the first place. Before people started crossing the space it was uniformly covered in grass. Then the paths started building up from the passing footprints of every walker using the same routes. The same logic applies in an online environment. Although in a digital environment paths are not visible to the eye they can still be seen algorithmically. People have a tendency to act alike in similar situations and follow similar paths also online. 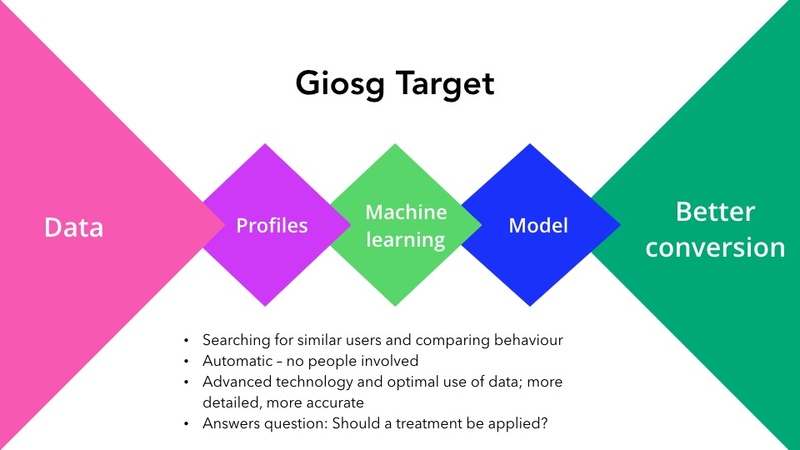 That is why we at Giosg utilise machine learning algorithms to search for similar users and compare behaviour. By using machine learning algorithms we can analyse large sets of data in a timely manner and target treatments where they are needed. The data collected enables us to see how and where individual digital paths are formed. We also continuously learn from the data and see how these paths change when we target visitors with treatments (e.g. discount coupons). Facebook segments users based on their profiles and click-behavior. This is done automatically with machine learning. Next, they let advertisers manually choose the segments they want to target. This important step in the process is based on human intuition which implies that data is not utilised properly. A better option would be to use A/B testing, although A/B-testing still does not use all of the data efficiently. See image 1 for an illustration. When a visitor enters Facebook, the question that needs to be answered is which ad to show. Facebook selects the ad that fits the profile that will generate the highest return. The optimisation objective is hence which ad to show - the ad space will always be used. Image 1: Facebook ad targeting. 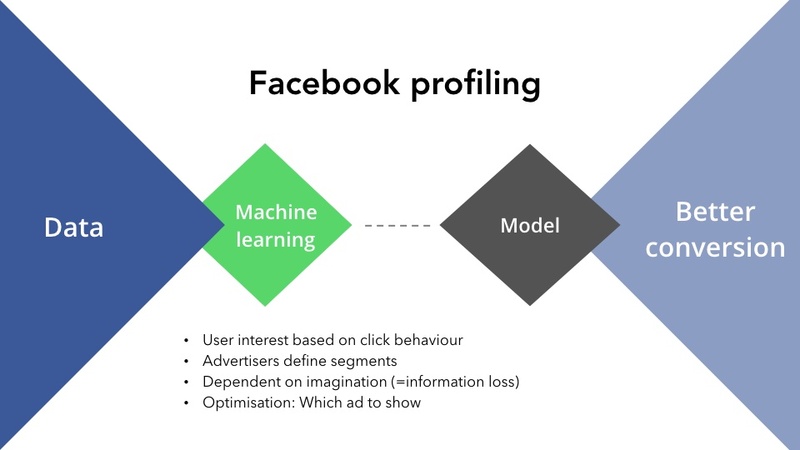 Facebook uses machine learning to segment users. Advertisers can then select from these segments to show their ads to users that might be interested in their products. To utilise all data in an optimal way we have created our machine learning based solution Target. Machines are superior in data sifting, filtering and analysis because they can handle far more data, find genuine correlations and predict the future outcomes with significantly higher accuracy than humans. Instead of looking at a small subset of users, you can actually look into all of them algorithmically. See image 2 for a more detailed description of the pipeline. Image 2: Giosg Target. In contrast to Facebook, we have automated the entire process resulting in efficient utilisation of the data. Instead of selecting which advertisement to show we are looking to determine if a treatment should be applied. The answer to this question is especially relevant in situations where a cost is related to a treatment, or when the treatment is expected to have a negative effect on some users and positive on others. For example, you don’t necessary want to start a live chat conversation with all of your site visitors, especially if you have a lot of traffic on your site and limited resources. But, how can you know which site visitors are the most potential to increase your revenue? With Target you don’t need analysts to try to figure this out. Instead, you let the machines do the work for you and make sure you start a conversation with the right person at the right time. Many of our customers have already found that by using Target the quality of chat conversations stays on a high level which means that fewer chat conversations are required to achieve the same conversion rate. Although the previous example is related to live chat, a treatment can also be any other type of incentives like a pop-up, banner, lead form or video. If you are intrigued to learn more about Target and how it can help you convert more visitors into customers, then please come and chat with us! 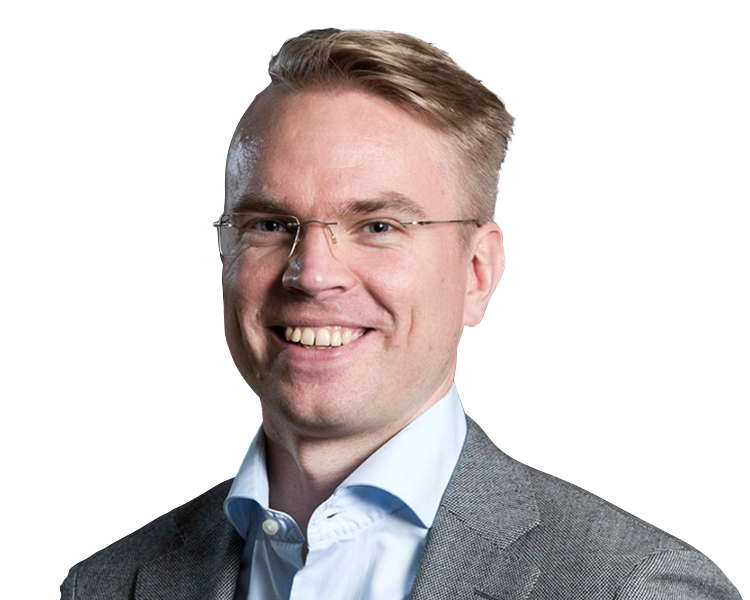 You can also learn more about our solution by reading our two previous blogs: How real-time analytics can help you recognize hesitant buyers and How to increase conversion rate using real-time analytics and machine learning tools? [video] .